Help us bring Michelle Obama to The Museum of African American Art during her book tour! 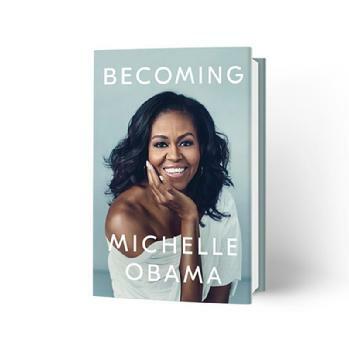 We have invited former First Lady Michelle Obama to schedule an appearance at The Museum of African American Art during the book tour for her memoir, Becoming! Special thanks to Macy's Baldwin Hills, Los Angeles City Council President Herb Wesson Jr., and the Los Angeles Sentinel newspaper for supporting our effort to bring Michelle to MAAA. Over our more than 40-year history, The Museum of African American Art has hosted book signings with such notable figures as Maya Angelou, Rosa Parks, Muhammad Ali, Terry McMillan, Walter Mosley, Louis Gossett Jr., Iyanla Vanzant, Tavis Smiley, and many others. Connect with us on social media to show how much it would mean for our community to have Michelle Obama visit MAAA inside Macy's at Baldwin Hills Crenshaw mall. Thank you for your support! THE MUSEUM OF AFRICAN AMERICAN ART (MAAA) IS A 501(c)(3) NONPROFIT ORGANIZATION. COPYRIGHT © 2003—2019 THE MUSEUM OF AFRICAN AMERICAN ART. ALL RIGHTS RESERVED.